Game 5 was a freaking roller coaster. One of the worst 1st periods I’ve ever seen the Kings play. Then a major comeback in the 2nd. Only to be crushed in the 3rd. My poor heart. 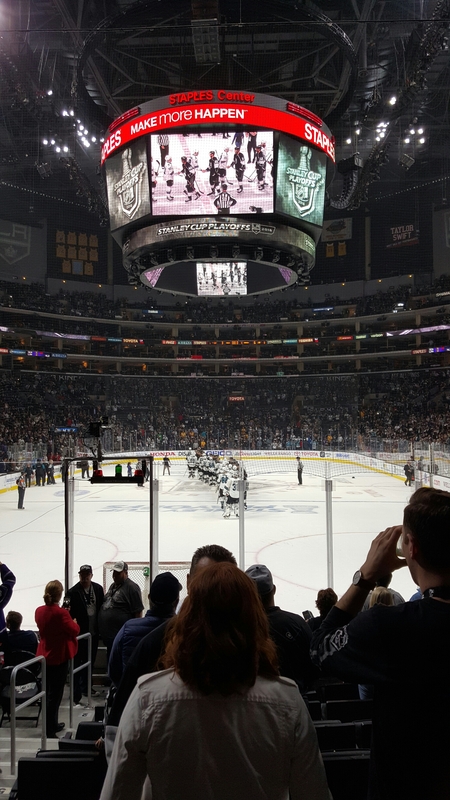 The last time I witnessed the handshake line, the Kings swept the Blues. We were on the losing end this time around, but it is still the best damn tradition in professional sports. This entry was posted in la kings, these thoughts, this life and tagged hockey, la kings, Los Angeles, NHL, nhl playoffs, playoffs. Bookmark the permalink.